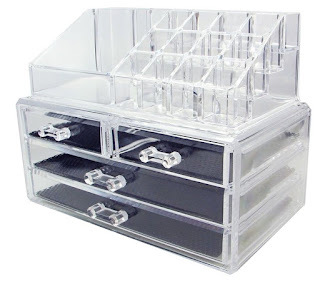 VERSATILE ORGANIZER: Our storage box can be used to organize both jewelry and cosmetics together. This allows you to be more organized at home or while traveling. With four drawers and 16 slots, you have more room than ever to keep all your favorite things close at hand. EASY TO CLEAN: Unlike other cosmetics or jewelry boxes that retain stains or colorization from your makeup, rings, or earrings, our acrylic boxes are easy to clean and won't discolor over time. 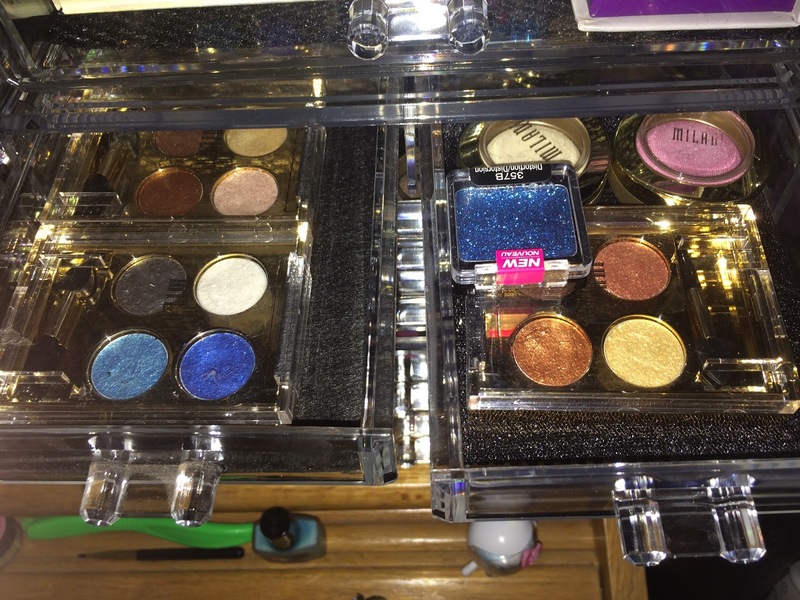 DURABLE ACRYLIC: The AcryliCase® is made from premium acrylic, which means it's thicker and more durable than your average makeup storage boxes and jewelry cases. 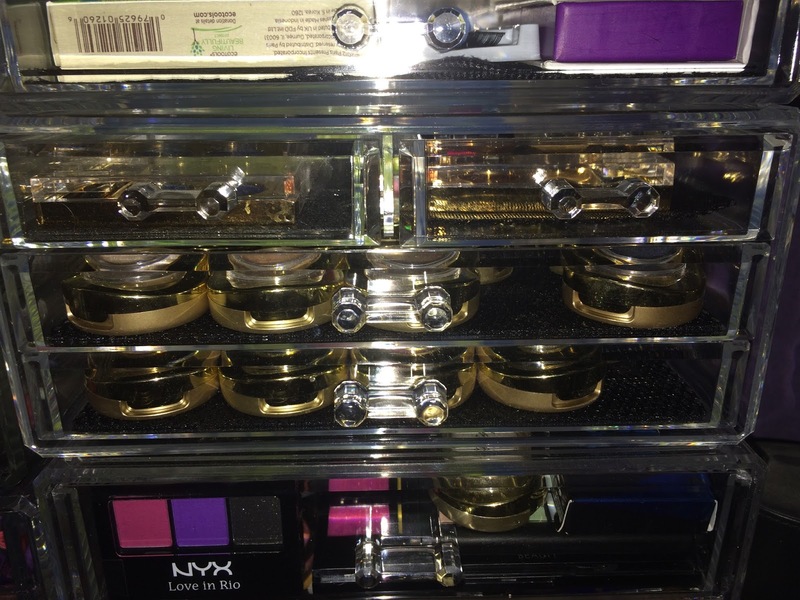 SATISFACTION GUARANTEE: We know that we've made the very best cosmetic box/jewelry box combination out there, which is why it come with a 30-day satisfaction guarantee. 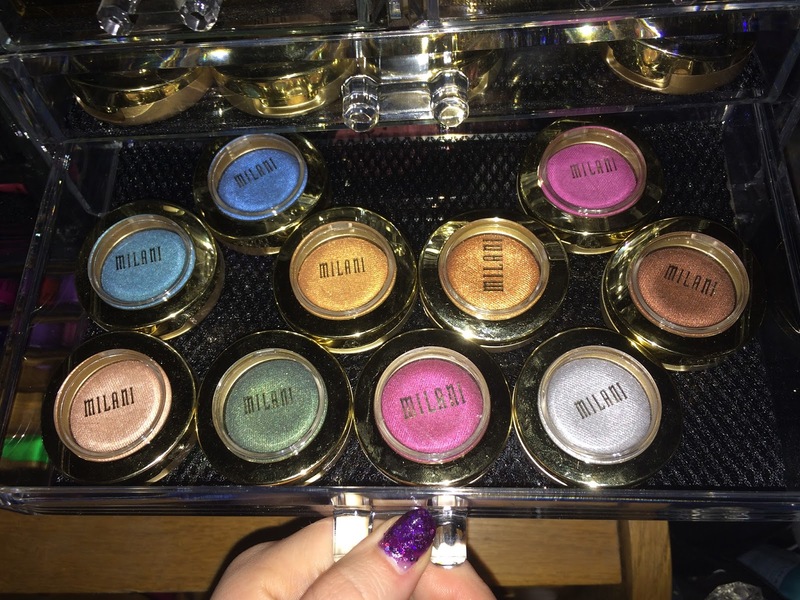 STYLISH & UNIQUE: Your makeup consists of beautiful colors and hues, and your jewelry is breathtakingly shiny and sparkly; show off each with our crystal clear acrylic makeup box. Ok I feel like a broken record here but let me start off saying that these stack well with other brands from amazon. I have 8 total different ones currently to store my makeup collection. 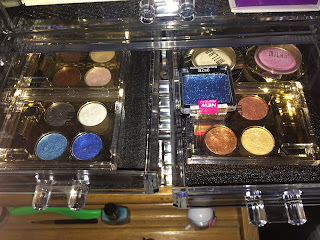 This is my 2nd Acrylicase brand one and So far I am loving them. 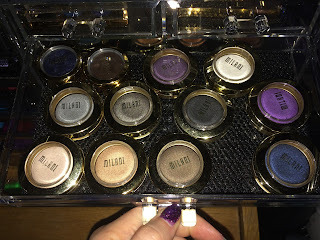 I am using this one to store my Milani bella eye shadows and foil eye shadows I gave the top piece to my friend as I already had several styles of the top standing and had no where to put this last one. 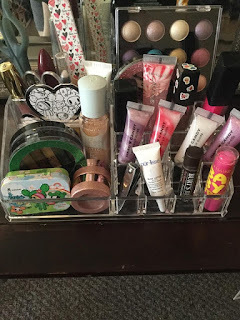 She has filled it with her favorite products and most used products and is her first organizer. I think I have gotten her addicted to these as well. 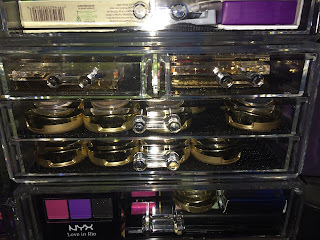 They are truly amazing when it comes to organizing your collection and I think I could use another 5 or 6 to go into my nail area to use for my studs and tools.